TIP is PLASTICS’ point of engagement for all producers of rigid and durable plastics used in automotive, industrial and consumer goods. TIP was formed to fill the void created by those operating outside the realm of packaging. The entire supply chain—equipment manufacturers, material suppliers and compounders, processors and converters, brand owners and recyclers—are represented in the group as it addresses issues around sustainability and end-of-life vehicle (ELV) recycling, light weighting and materials issues, and other regulatory, advocacy and education issues important to these end markets. What are the best technical strategies for recycling to achieve zero waste? New technologies and methods are being developed today to increase rigid plastics’ end-of-life potential, including automotive end-of-life vehicle recycling. New standards going into effect in 2017 (U.S.) and 2025 (EU) will require automotive manufacturers to deliver new cars with drastically more efficient mileage capabilities. 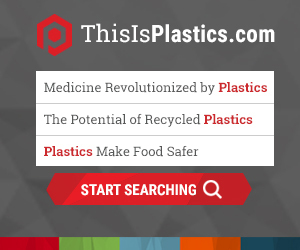 TIP is actively engaging with all stakeholders to determine the best practices and tactics to meet these new requirements, while positioning rigid plastics as a leading solution. TIP has contributed to two Plastics Market Watch Reports on the Automotive + Transportation market and on Automotive Recycling. Delivering key insight into the use of rigid plastics in automotive and other end markets, these benchmarks provide the foundation upon which further action can be taken to benefit the entire supply chain. Having the honor of leading the Transportation and Industrial Plastics (TIP) Committee, I’ve recognized and experienced the value of being an integral part of PLASTICS. Through exposure to new OEMs, Material Suppliers, and Tier 1 companies in the Detroit and surrounding areas; industry marketing and research information, plus networking opportunities and insights into new relationships and potential business, PLASTICS provides a unique connection and commitment to the industry. Michael Cirone, President, Manar, Inc.